Drilling in glaciers in the Arctic archipelago of Svalbard confirms that the Viking Age was as warm as today, something that made it possible for the Norsemen to colonize Iceland and settle down and grow barley in Greenland. With ice cores from three Svalbard glaciers, it has become possible to say something quite certain about climate change in the archipelago and in Northern Norway all the way back to the Viking Age (c. 793 – 1066 AD). The last thousand years, the average winter temperature in the town of Longyearbyen in Svalbard has varied from minus 5 degrees Celsius (23°F) around the year 1000 to minus 25 degrees (-13°F) around the year 1850. The temperature in the town of Vardø in Northern Norway ranged from minus 1 degree Celsius (30°F) to minus 10 degrees (14°F) in the same time period. In Longyearbyen, the winter temperatures have been measured since 1911, and in Vardø there are weather data dating back to 1840. Scientists have compared this information with information from the Svalbard ice cores. The researchers are surprised how gradually the climate has become increasingly colder from the mid-1300s until the late 1800s, a period that lasted about 500 years and is named the Little Ice Age. 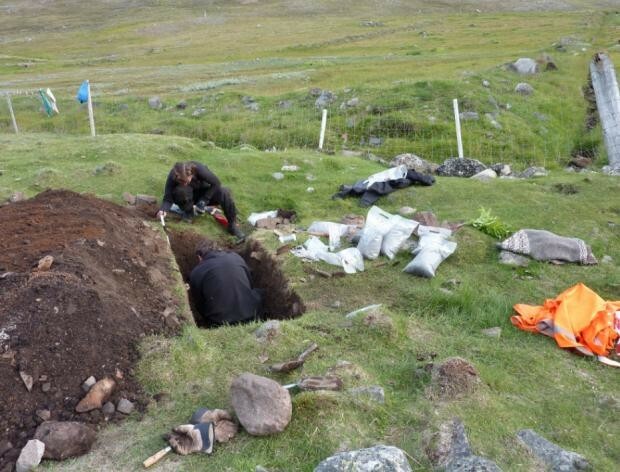 Findings made by a group of Danish researchers in Greenland have proved that the Norsemen cultivated barley. They were able to produce the main ingredient of beer, porridge or bread, which traditionally were the cornerstones of the Viking diet. The warm Viking Age climate also coincides with information from the Norse sagas telling of good years with rich crops. As a consequence, Scandinavia experienced a strong increase in population which resulted in emigration and colonization of Iceland, Greenland and the western isles; the Faroe Islands, Hebrides and Shetland. The Vikings also conquered new lands and settled down in France and the British Isles. Scientists disagree if the increasingly colder climate following the Viking Age is the main reason why the last Norse settlement in Greenland was abandoned in the 15th century. Some believe that the Vikings were very adaptable and that the colony died out of other causes as conflicts with the Inuits, drop in value of walrus ivory and other “unfortunate” circumstances. Or, maybe they simply gave up after centuries of hardship and sought a better life in other and more fertile areas of the world? You are welcome to learn more about the Vikings here. 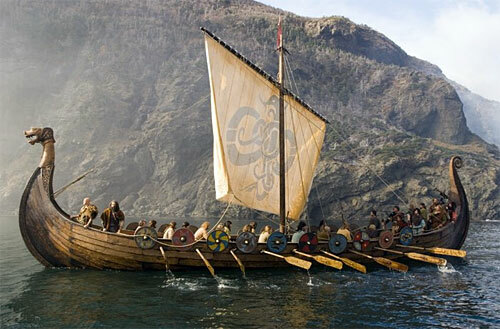 ‹ Did the Vikings’ Forefathers Serve in the Roman Army? I think you’ll find that “the western Isles” you mention are what the British used to refer to as the Outer Hebrides. We now strongly tend to refer to them as The Western Isles, i.e. Lewis, Harris, the Uists, etc. The Inner Hebrides is still used when referring to *all the other islands* off the west coast of Scotland. Sometimes we remember to refer to Orkney and Shetland at The Northern Isles. Interesting. Global warming in the Viking Age. I didn’t realize those long boats produced so much CO2 they could warm the entire globe.